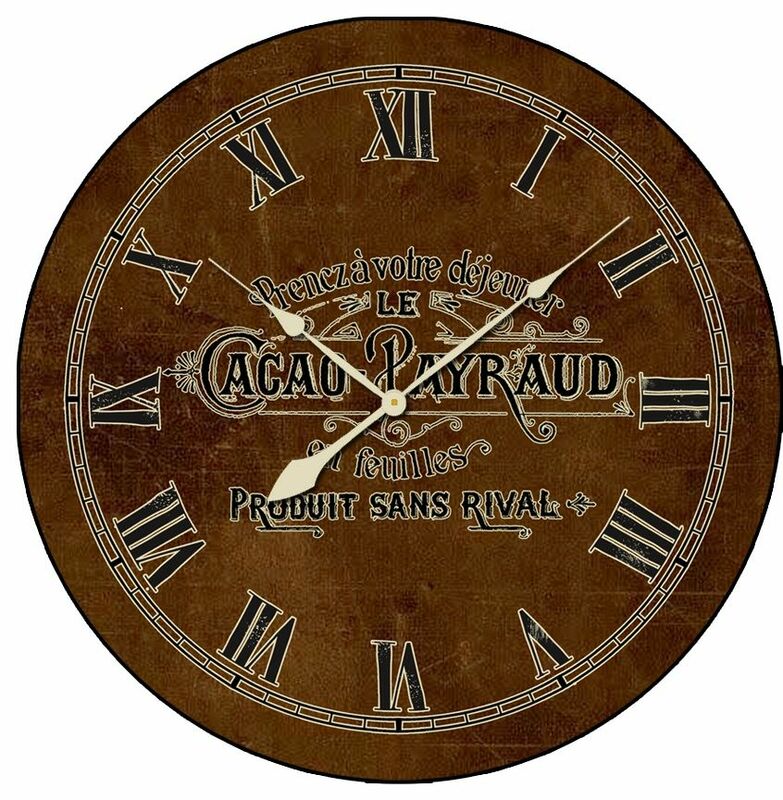 Brown French sign wall clock is available in sizes 18", 24", 30" and 36" in diameter. Beautifully scripted the chocolate lover is a decorative wall clock with a slight distressed look, this vintage style wall clock is handmade in the USA using a high quality Giclee printing process. This vintage style clock is handmade in the USA and made when ordered, please allow a 5- 10 business days before shipping, The stunning wall clock runs on a Quiet quartz movement, uses One AA battery required, not included.